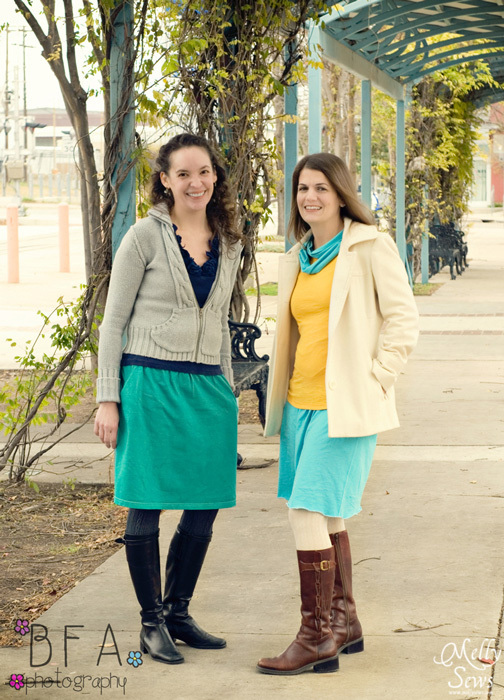 In this skirt tutorial I’m going to show you how easy it is to make the t-shirt skirts my sister-in-law and I are wearing in this picture. I basically did the same thing in dress form for this Game Day Dress. 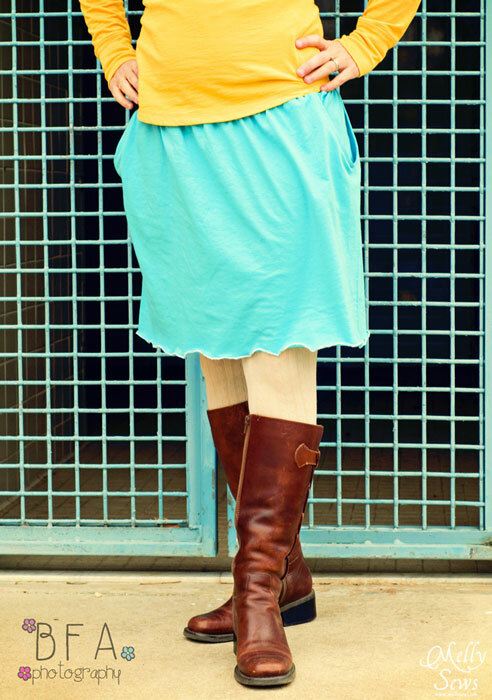 And once again, thanks to Rose from BFA Photography for the pictures for this project. She photographs in the Austin, TX area. Start by trimming off your sleeves. 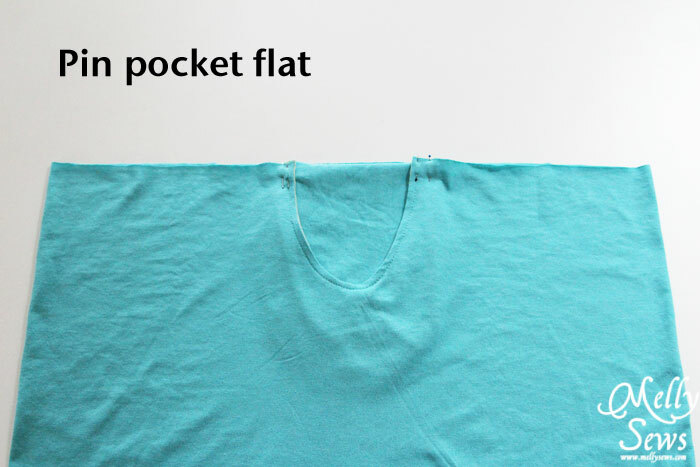 Use the fabric from them to make your pocket and pocket facings. 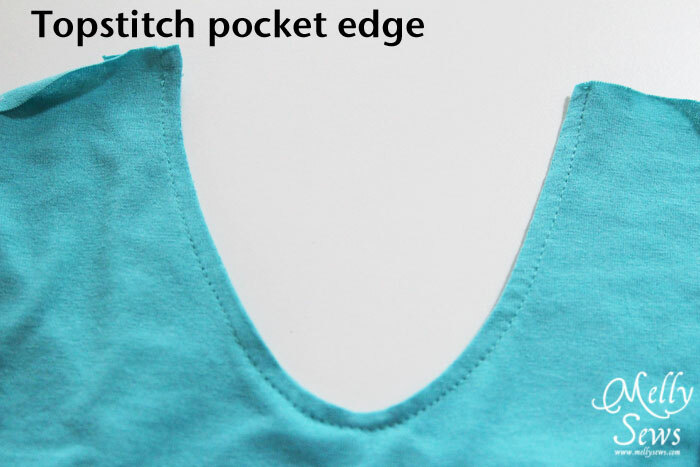 This will be the top of your skirt, so check the depth of the sleeve openings – that’s how deep the outside part of your pocket will be. 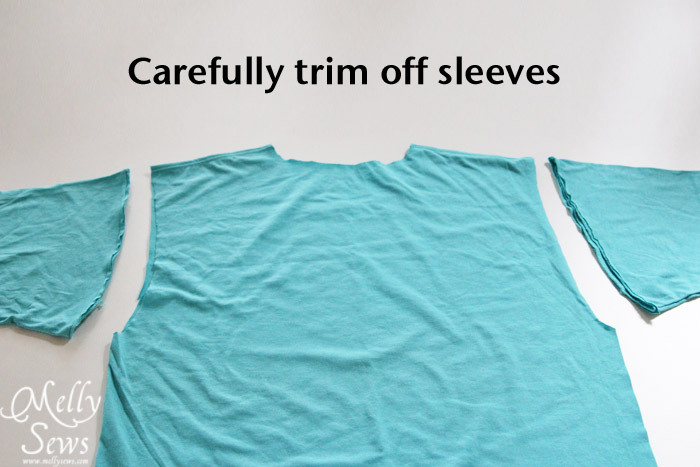 Trim openings carefully, folding in half so you can make sure the sides match each other. 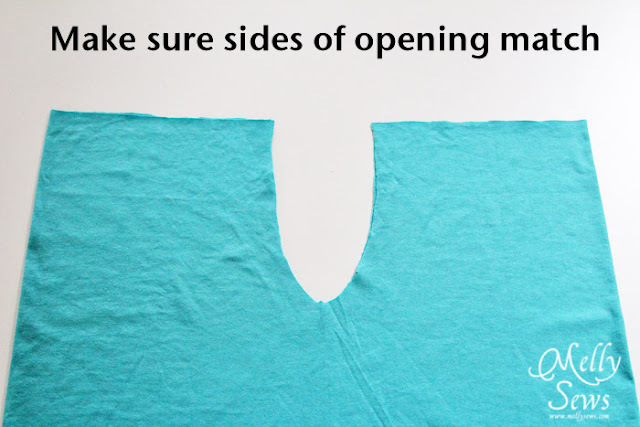 Stitch the facing to the opening, then flip it to the inside of the skirt and press the edge. 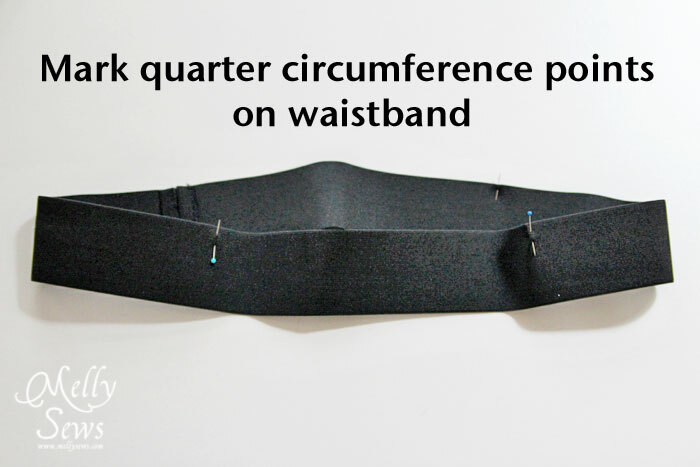 Do this just to help the skirt hold it’s shape while you attach the waistband. Sew your elastic into a loop using a 1/2″ seam. If you are making more than one, you can label them like I did. 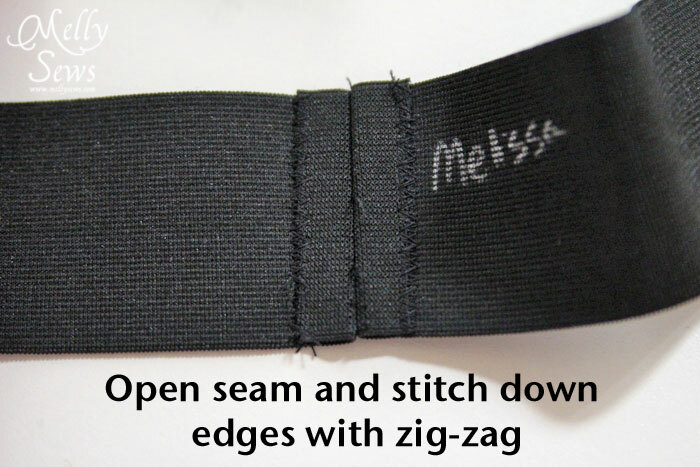 Do this by holding your waistband with the seam on one edge, and place a pin on the opposite edge. Then hold the waistband so that the pin touches the seam, and place pins on the two edges. Mark your skirt the same way, starting by lining the pockets up on top of each other so that the center front and center back are at the edges. 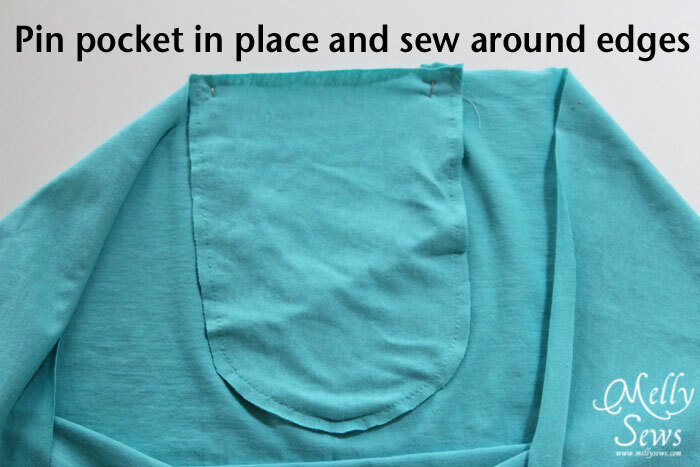 Then fold the skirt so the two pins touch, and you should be able to mark the center of each pocket easily. 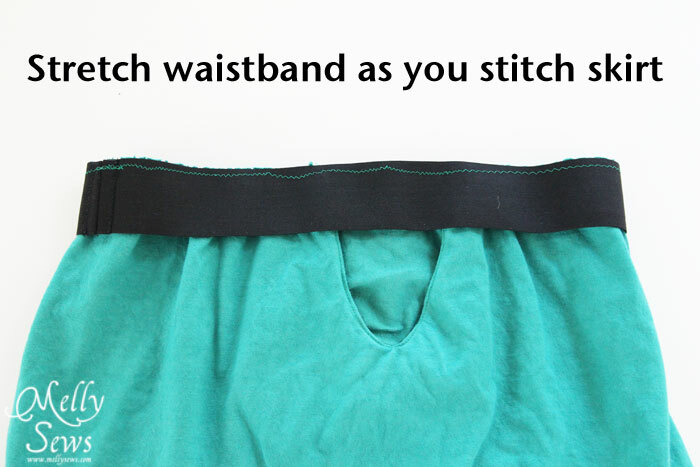 Lay the waistband over the skirt top, right sides together. Line up and pin the quarter circumference marks. Then stitch close to the edge, stretching the elastic so it is the same length as your skirt. This will make gathers in the fabric when you release the elastic. For the hem, if your t-shirt was the right length, you could just use the existing hem (that’s what I did). 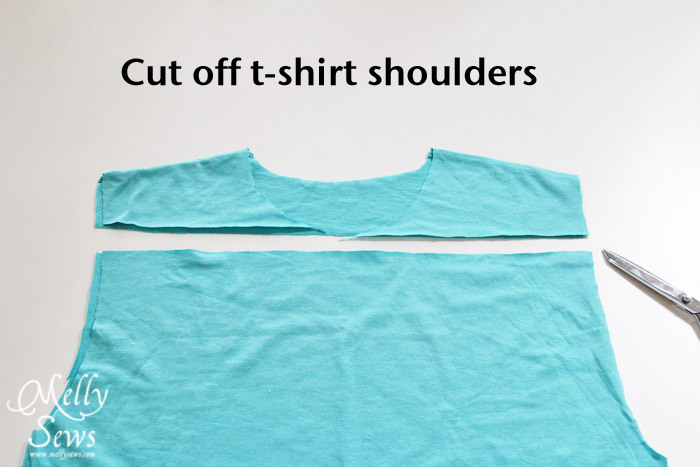 If not, cut the skirt off to the length you want and hem. You might use a twin needle or you might do a lettuce edge (good tutorial for that by Googie Mama HERE). If you do cut the skirt shorter, you might even end up with a snazzy scarf accessory, like my sister-in-law is wearing in the photo at the beginning of this post – yup, that’s the bottom of her skirt. 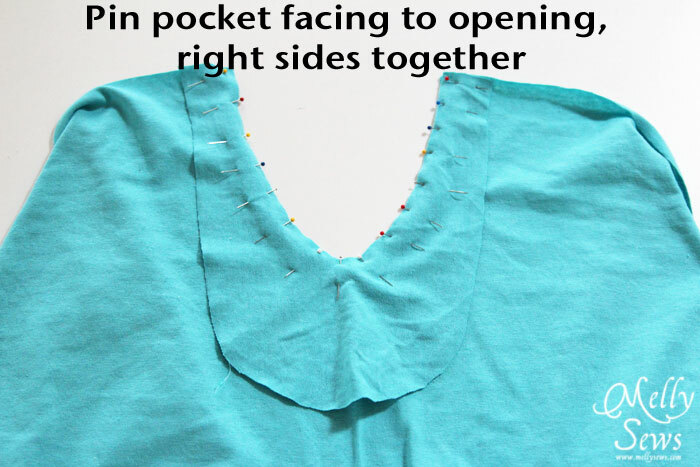 Either way, this can be a fabulously easy and cheap way to get yourself some new layering pieces! Brilliant! Thanks. 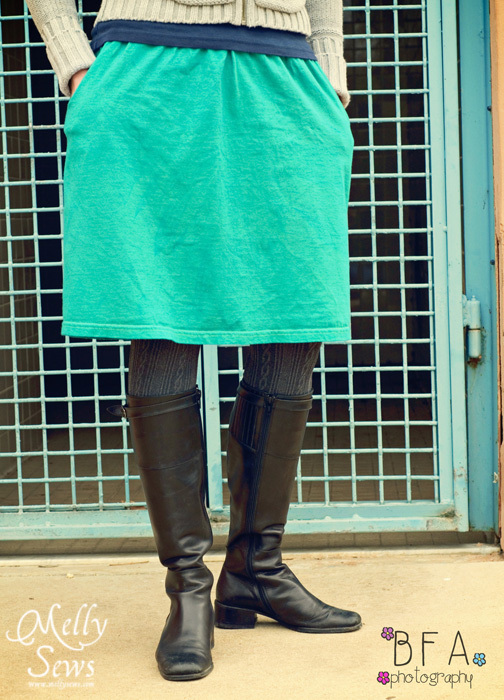 I love skirts with pockets. Thank goodness for you and your generous knowledge!! 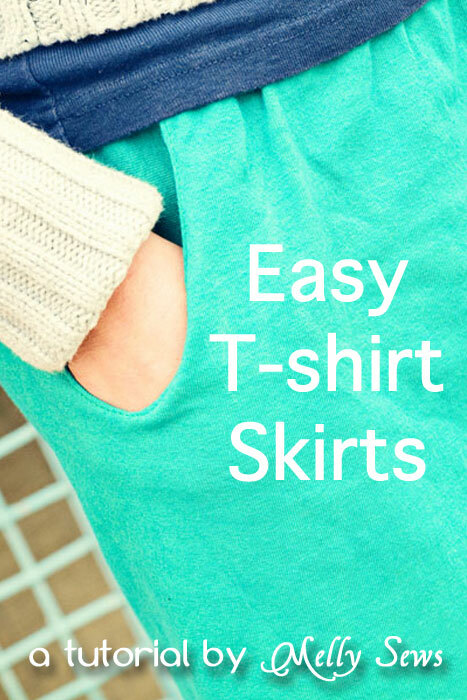 I’m heading to southern California tomorrow and my thighs are not in any shape for shorts …… So a couple of tshirts, your tutorial and some sewing and I’m off in cute skirts!! Take that thigh master! Good ornig to you,i ask something what kind of needle that i use for this skirt? Im a biggener to teach my self to sew. Please answer my question. Thanks. I’ve had the same idea, just didn’t/couldn’t figure out – how – to create the proper pocket pouch. Thanks so much! I am excited to make this. I have cut off the sleeves and neck and am trying to cut the pocket and pocket facing, but my sleeves do not seem to have enough fabric for the pocket patten. Should I make it smaller or use another old tshirt for the facing? Thanks for your prompt advice. I am in the middle of it right now and hoping to finish tonight. Thanks!